Last year, The New Yorker ran a David Gilbert story called “From a Farther Room” (our thoughts here). In it, a directionless man returns home one night feeling a bit sick; he vomits on the floor, goes to bed, and is awoken by crying — from whatever he threw up. He begins to care for the revolting creature. I — and others — thought immediately of David Lynch’s debut film Eraserhead (1977). At the time, I started to prepare a review of the film, but I put it on hold knowing that The Criterion Collection was working on a new edition. It took them a bit of time, but it’s arrived! 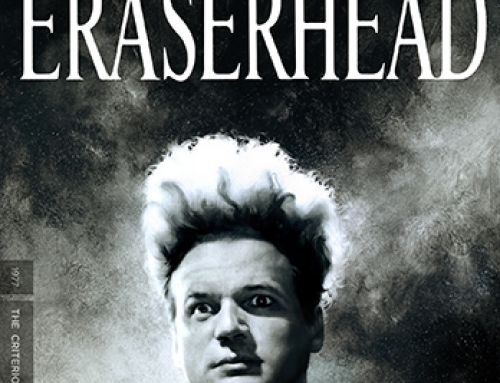 So, Lee and I, jabbering away one day about the 2666 read-along (which we’ve been enjoying a great deal) and David Lynch, hatched this plan: Let’s do a blog watch-along of Eraserhead. Obviously, still in the middle of our first blog read-along, we’re very new to this “along” thing. But here’s the main plan: between now and the final run-up to Halloween (though this film would work just as well as a prelude to family dinner on Thanksgiving), watch Eraserhead. Think about it. We’ll be doing the same. On Monday, October 27, Lee and I will put up a post meant to start a conversation about this rich, enigmatic film. If you’re interested in joining us, you may want to consider the new Criterion edition as it comes with a number of interesting supplements (and looks and sounds superb). Plus, between now and October 27, I think I’ll be talking about the six short films included. 1982: A trailer for the film. 1988: A 7-minute clip from Cinéma de notre temps, a French television program, featuring Lynch and actor John Nance. This is a strange supplement, mostly with these two fellows talking about random things on the way to a location in the film. Strange, so: fitting. 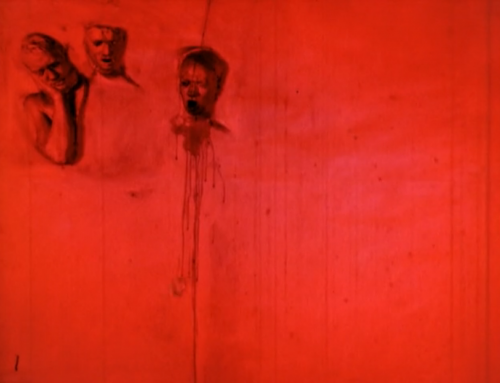 1997: This feature is an interesting compilation of footage for Pretty as a Picture: The Art of David Lynch. It features Lynch, Nance, Charlotte Stewart and Catherine Coulson talking, fondly, about the film’s long and burdensome production. 2001: An 85-minute documentary by Lynch called Eraserhead Stories, a great, in-depth look at how Lynch went from The Grandmother to Eraserhead, basically living off of scraps and seeking to make the film for as cheap as possible over a few years. 2014: A 26-minute set of new interviews with Coulson, Stewart, Elmes, and Judith Anna Roberts, again (but from a different perspective) talking about the production. The actors also talk about Lynch more here than elsewhere. 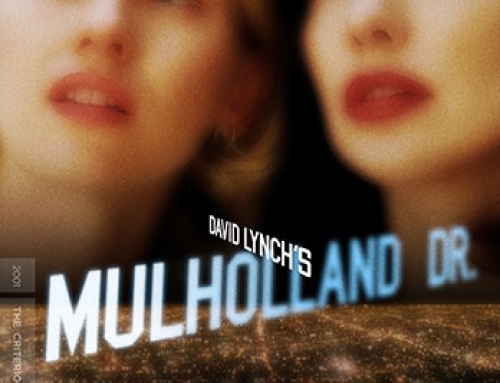 A booklet featuring an interview with Lynch from filmmaker and writer Chris Rodley’s 1997 book Lynch on Lynch. You may note that, especially for a film as enigmatic as Eraserhead, there’s a notable lack of scholarly material devoted to the film itself. That’s presumably at Lynch’s request, as he himself had a hand in this release and has, for decades, stuck with his commitment to letting the audience get the film cold, without preconceived conjectures about the film’s meaning, etc. It has come to our attention that at about 65 minutes into the original camera negative, from which our new 4K master of ERASERHEAD was created, there are 5 seconds of black where there should be a reaction shot of Jack Nance surrounded by fades to white. We are aware of this issue and are preparing a corrected run of ERASERHEAD Blu-ray disc and DVD Disc One (DVD Disc Two is not [a]ffected). When the replacement discs are available in a couple of weeks we will replace the old version. Customers should write to [email protected] SUBJECT: ERASERHEAD REPLACEMENT.